Mies van der Rohe is one of the most influential architects of the twentieth century. The inventor of the modern steel-and-glass skyscraper, Mies was a found of modernism, the head of the Bauhaus, and the creator of landmarks such as the Barcelona Pavilion and the Seagram Building. His architectural style was based on aesthetic principles that reflected not only how he built, but also how he lived. In 1937 Mies came to the United States as a refugee from Nazi Germany. claiming that "one does not live in the past", Mies never spoke about his last years there. Did he have something to hide? Was there any truth to the rumors and accusations that surrounded his name? 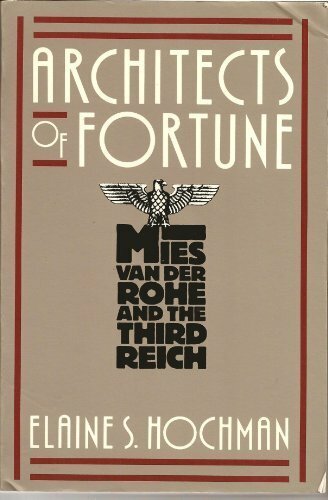 Architects of Fortune is an inquiry into Mies's activities in Germany from 1933 to 1937 and his relationship to the third Reich. Seeking the realities that lie behind Mies's enigmatic genius, Elaine Hochman has found that the reasons for Mies's silence are more complex than he cared to admit. As the author blends history and biography, she examines not only Mies, but a generation of Germans who struggled with the Pressures to leave their country and their desire to stay and live their lives as they wished. Ultimately, we come to see that Mies - like so many of his fellow Germans - left his country not in protest (as commonly believed), but simply as a last resort. In understanding Mies, the artistic giant whose image has shaped the modern world, we gain a new understanding of an architecture that has affected us all, as well as of this particularly significant moment in history. This is a penetrating investigation of the confrontation between this century's most acclaimed architect and its most infamous political regime. Few architects have received more praise during their life and more criticism after their death than Mies van der Rohe. 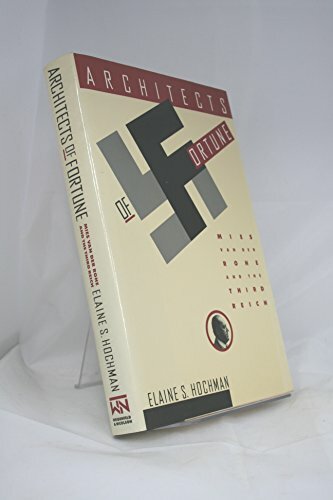 In this meticulously researched and suspenseful book, Hochman examines a particularly difficult chapter in Mies's career: the years in Germany between 1933 and 1937 when personal and artistic freedoms were under attack by Nazi leaders. Hochman chillingly re-creates this chaotic and desperate time, documenting how Germany's leading architect was pulled into the crass political machinations of the day. The result is a fascinating tour de force, shedding new light on this period of Mies's life and providing fresh insights into his architecture. - H. Ward Jandl, National Park Service, Washington, D.C.
Was modernist architect Ludwig Mies van der Rohe a Nazi sympathizer? Or did he leave Germany because of his opposition to the regime? The author concludes that neither is the case, depicting Mies as devoted exclusively to his art and holding himself aloof from all practical matters. "This dense, heavily footnoted study will reward mainly those fervently interested in the resolution of the question of Mies's years in Berlin and in the interaction between the Nazis and the arts," determined PW . Illustrated. 10. 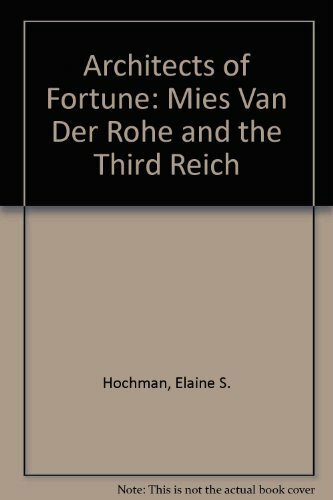 Architects of Fortune: Mies Van Der Rohe and the Third Reich Hochman, Elaine S.